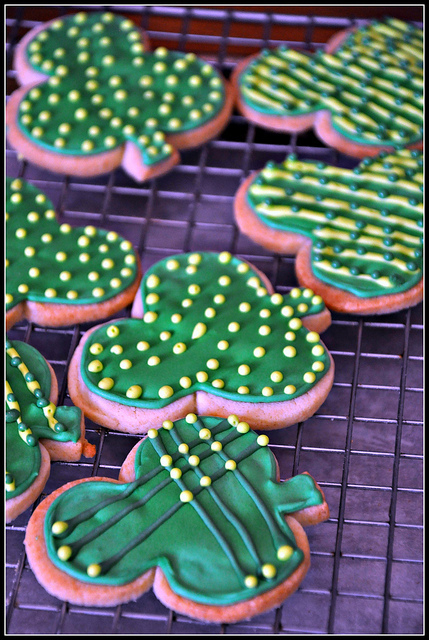 Sweet Sadie's Baking: St.Patrick's Day Cookies - The Luck of the Icing to you! 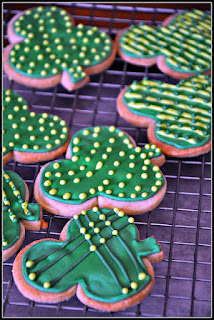 St.Patrick's Day Cookies - The Luck of the Icing to you! Lately I have been working on my cookie decorating...in fact I think I am driving Camera Guy a little crazy- icing everywhere-food coloring stains on my fingers, face etc., and cookies cooling everywhere. 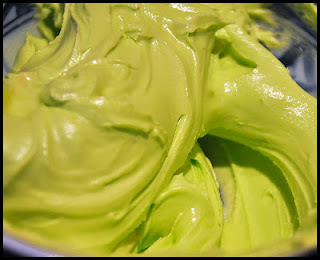 Then I look at cookie blogs like Sweetopia and Sugarbelle, just to name a few, and I realize I have a long way to go. I keep trying over and over. I finally have Camera Guy trained to eat only the ugly cookies! As I am writing, I just caught him taking one that isn't filled in yet...our first cookie argument! One day they all will be beautiful, but right now - not so good. 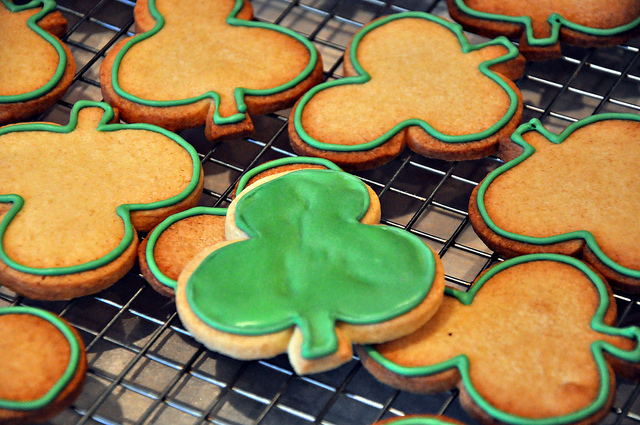 I decided to make St. Patrick's Day cookies. It starts with a good sugar cookie recipe- one that doesn't spread a lot and maintains its shape. That is pretty easy. 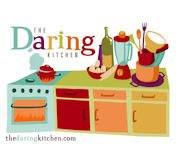 The trick is to roll the dough when it is cool and cut out the cookies when the dough is cool also. Once the cookies are baked, they need to cool completely. That is a lot of cools , but anyhooooo. Without icing, these cookies are like chips- you can just keep eating them! Now for the Royal Icing. 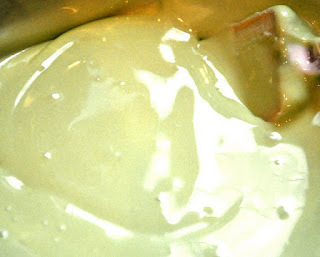 the recipe is pretty straight forward and everywhere I turn, cookie people talk about the 10 second rule....I watch them move a knife (about an inch deep) through the icing and it makes a line, then you are supposed to count until 10 and only then, not before, the icing should disolve together. 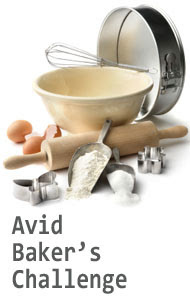 I think this is used to outline because when you fill in or "flood" a cookie with this consistency I can't get it smooth - even with shaking it! Flood consistency should make a very smooth surface. I think I need the 5 second rule for my flooding! First I outlined them with a disposable pastry bag and a number 2 tip, then I filled them in. 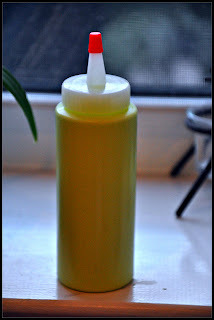 On some I used a squeeze bottle to flood them. I liked it. I had fun doing these. I will keep you posted on my cookie developments. 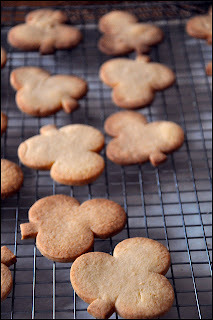 In the meantime here is the recipe I used for the sugar cookies and for the Royal Icing. Get away from the cookies Camera Guy until I take pictures of them all! I would also like to clear up something. Camera Guy doesn't take my baking photos...I do! He may take the occasional one, but this kind of photography is just not his thing. He bought me a camera so I don't grab his professional cameras and lenses with my floury, buttery hands...that's ok...I understand....I still love him. Happy St. Patick's Day Everyone! 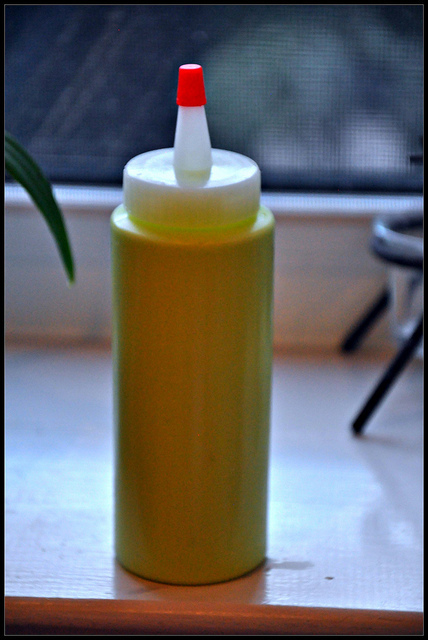 Great idea to use the squeeze bottle! The cookies look amazing.